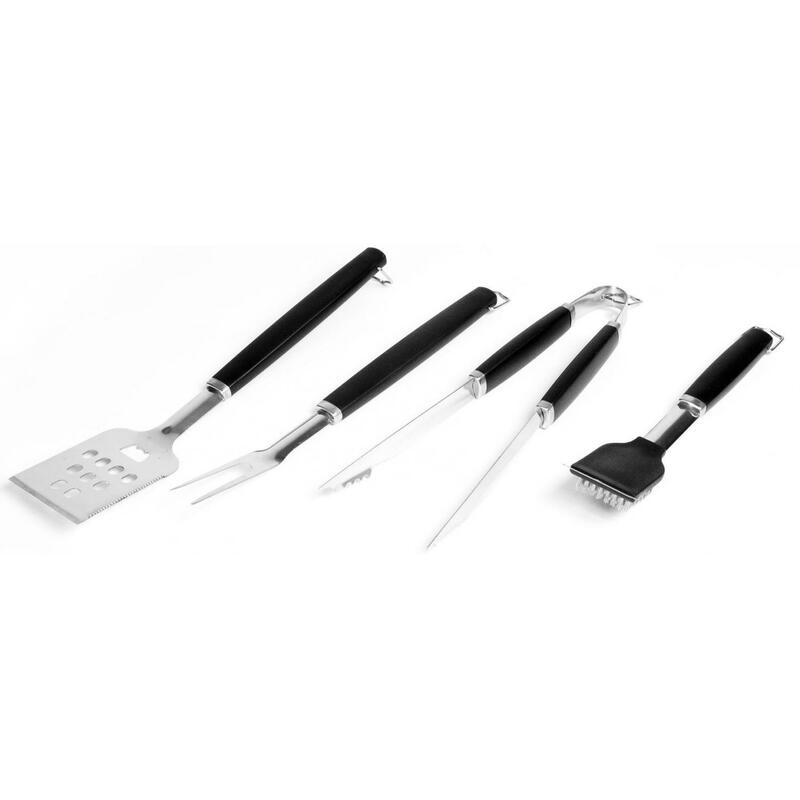 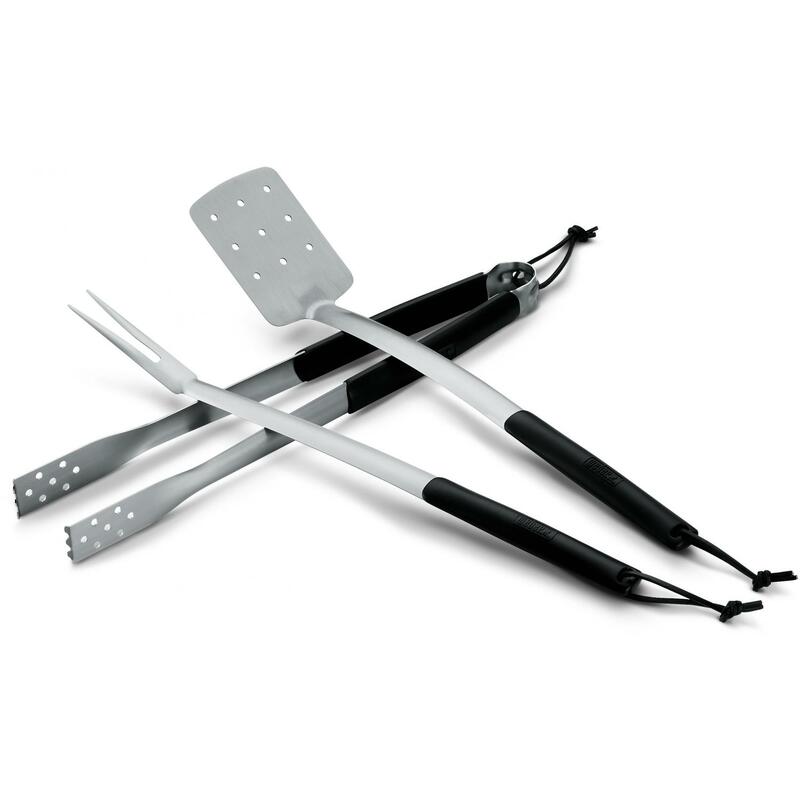 Product Description: Perfect Chef 3-Piece BBQ Tool Set - Red. 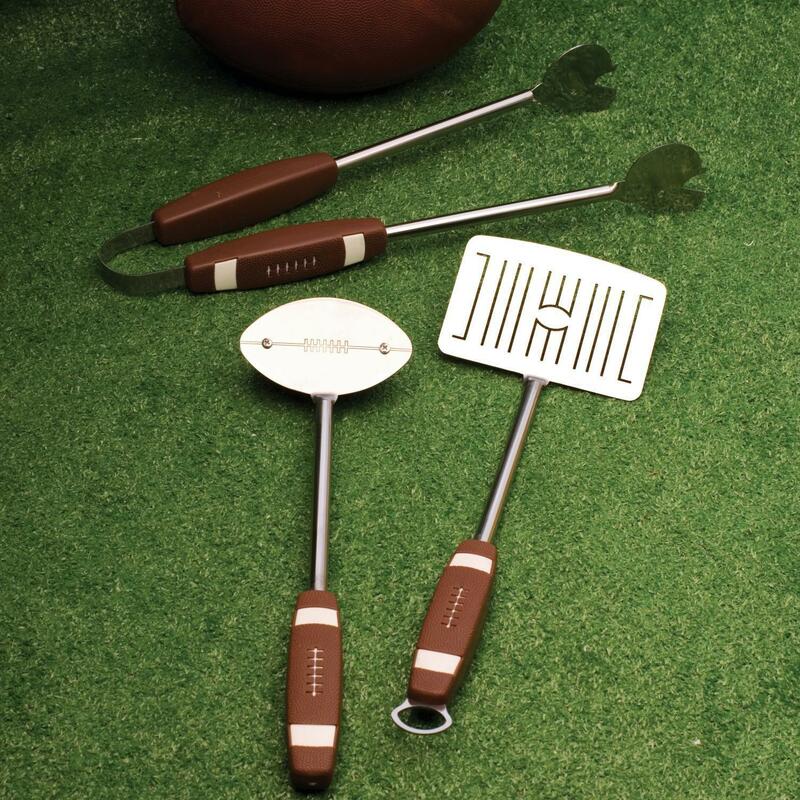 A reliable set of tools is essential for any backyard BBQ. 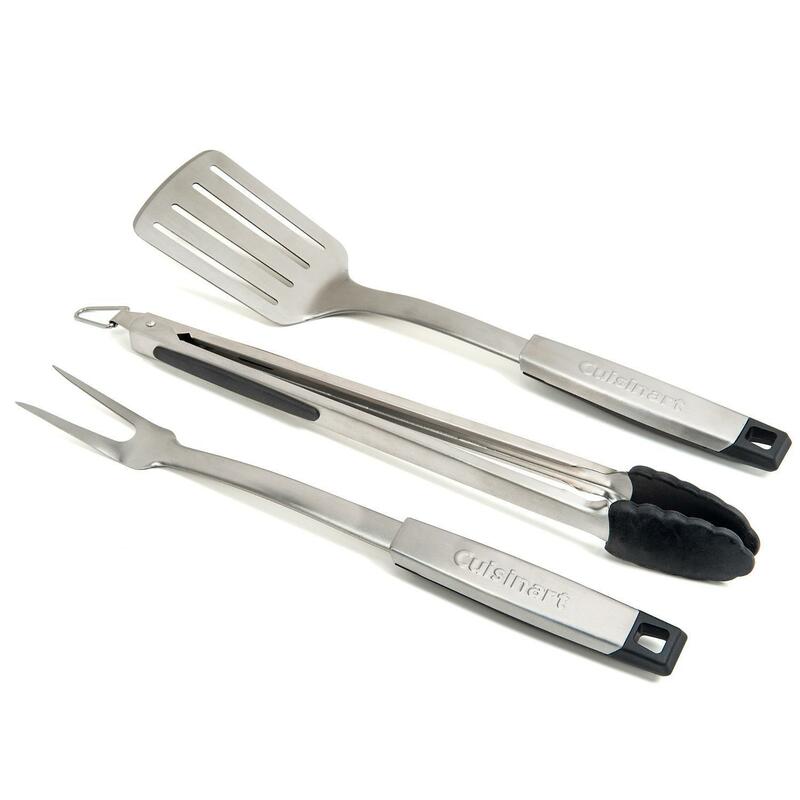 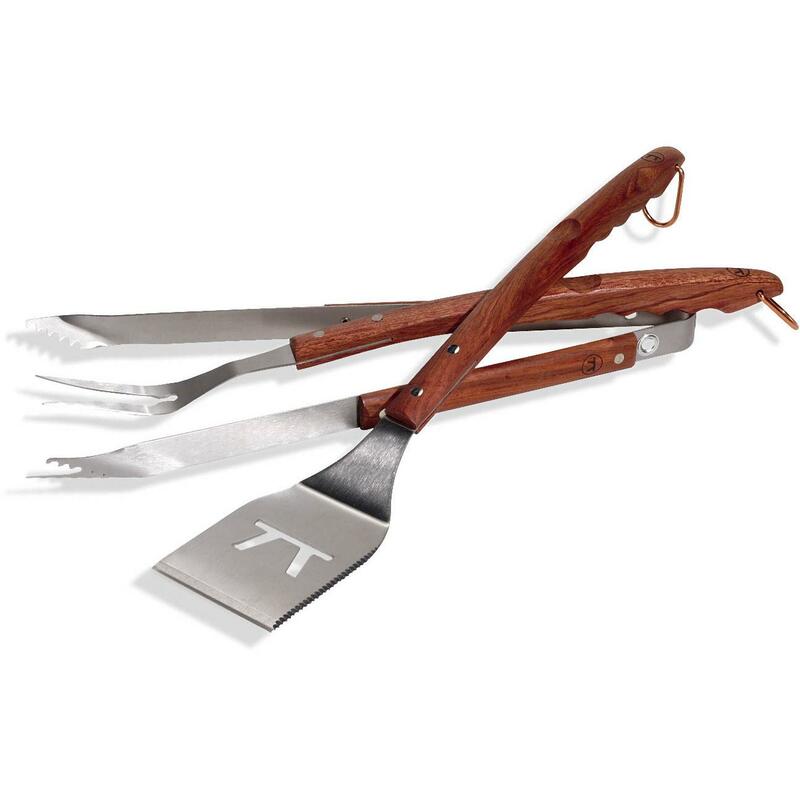 This 3 piece stainless steel set includes a 3-in-1 spatula, meat fork and tongs, all with long handles that keep your hands away from the heat of the grill. 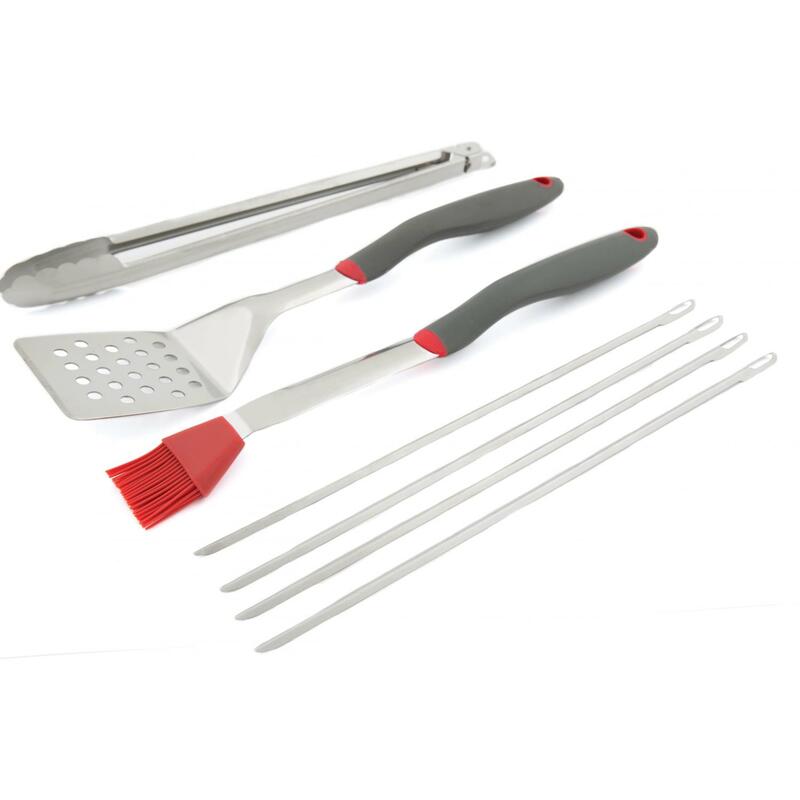 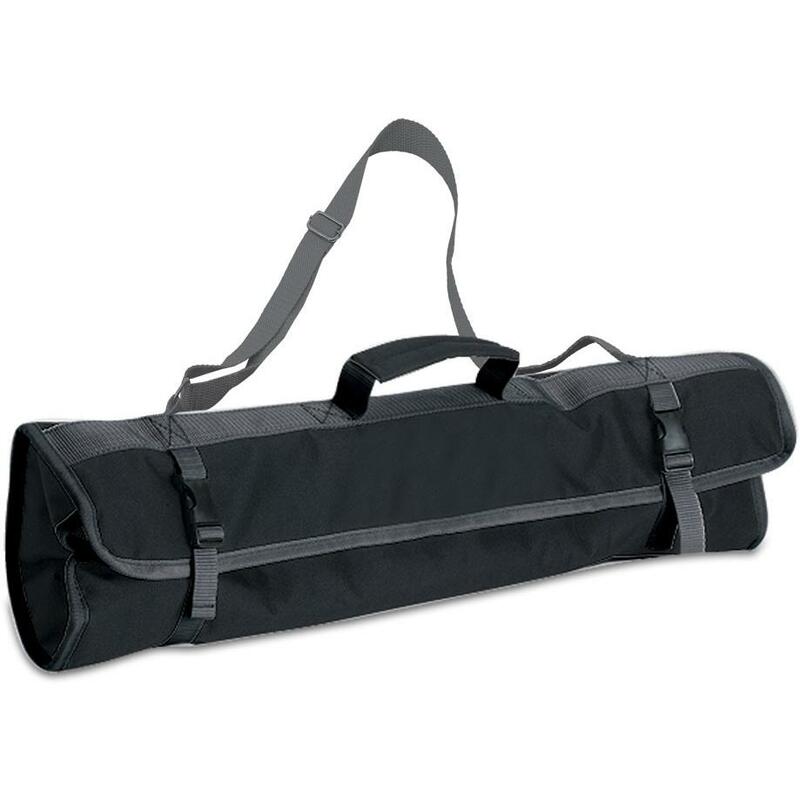 The attractive red handles provide an easy grip. 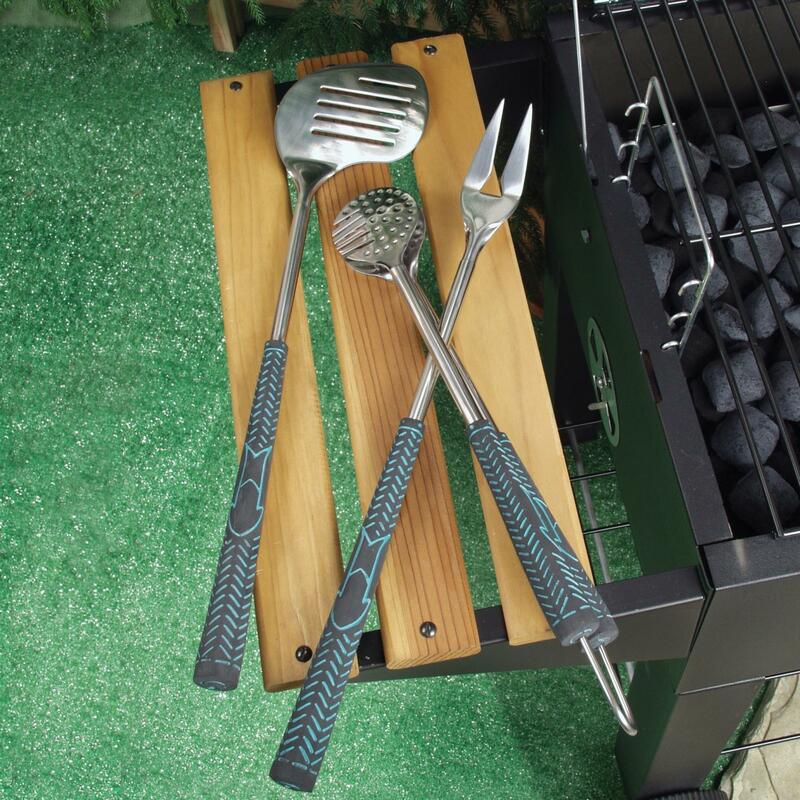 Tools range from 12 to 17-inches.